I have over the last few years ridden almost every freestyle board on the market. I always preferred a stiffer board with more weight and more rocker than the super light and flexi flat boards, as I come from a wakeboarding background. This sort of board suits a rider that uses more speed when going into tricks and prefers a predictable response from the board when loading up. Some of the boards I loved included aboards x-series, north mallory and cesar, cabrinha custom, lf concept. These boards provided the best crossover between strapped a boots riding but i always found they never gave me exactly what i was after. However that was until I tried the new cardboard tempo. I usually go for the slightly bigger board but found the 135*40 to big for my midget height so i opted for the 130*40 instead. A 130 might sound small but due to the larger width this board feels big and is also longer than my old 133 board??? It has a great set of pads and straps that lock your feet in without cutting off the circulation and they have a very similar feel to the underground pads that everyone loved (marshmallow like :)). I have had 3 sessions now using straps and boots and I am so stoked with this board. It comes with 40mm fins which are a perfect size to provide enough grip but still give a loose feel for slides and carves. The aggressive concave/channelled hull lets u really lock into the load up of your trick and it has the perfect amount of rocker to give a smooth release and soft landing for my faaarked knees. I think I have finally found my perfect board!! Another problem I have found with my boards of the past is how they deal with choppy conditions. They provide way to much spray to the face and make finding a consistent edge and smooth load up almost impossible. This board has a limited spray that is aimed no where near my face. It also rides the chop very well and the channels give you the abilty to load up very quickly after you have spotted a break in between the chop. agreed. they really do make pretty much one of maybe 5 kiteboards that i would ever be willing to ride. it really is a smooth fast board with a really good locked in edge when loading up but releases effortlessly and puts you up pretty damn big. Whatever they do to boards to make them easy to land tricks has been done to perfection on the 2011 Tempo. Pop and load as above in chop or flat and then auto pilot landings. Ah Tempo, demo'd one day, ordered the next. Here's the new one I bought for me and my missus to "share"
Both the Tempo and PRO are amazing boards. You need a bit more power with the tempo but its perfect on landings. Its one of the best boards i have used. The PRO is fast and agressive for anyone riding flat to small chop or small waves. Out of the 2 the Tempo is the easiest to land, the pop on both boards is great but you get a bit more our of the PRO. If anyone can get there hands on a demo and compare it to what they are riding i dont think they will be disapointed. I will have a PRO and Tempo down at Altona, Vic most windy days if anyone wants to give it a spin. Moons, that's some pretty sweet lawn you have there - Sir Walter? On the Tempo, they are one of the best quality boards I have ever ridden. I'm still riding my 2008 model and have had many moments where I thought it was going to snap but it never happened - just soaked it up. I snapped 2 twin tips before getting this board and I have a feeling that I'll never snap this one. The Tempo is a wicked freestyle board. I bought my own board this year instead of using the Demo boards, first board I have bought for my use in 8 years! The pop is mad, control on landings is amazing. Just fun to ride! just brought 135 tempo and love it, best board Iv used. So I ordered a costom 130 with low flex. Undoutably the best board for progresive style kiting. 10/10. Took a new 131 FR out the other day,it blew me away absolutely awesome ,rails upwind,soft as in the landings not a drop of spray,lovin it my new favourite. 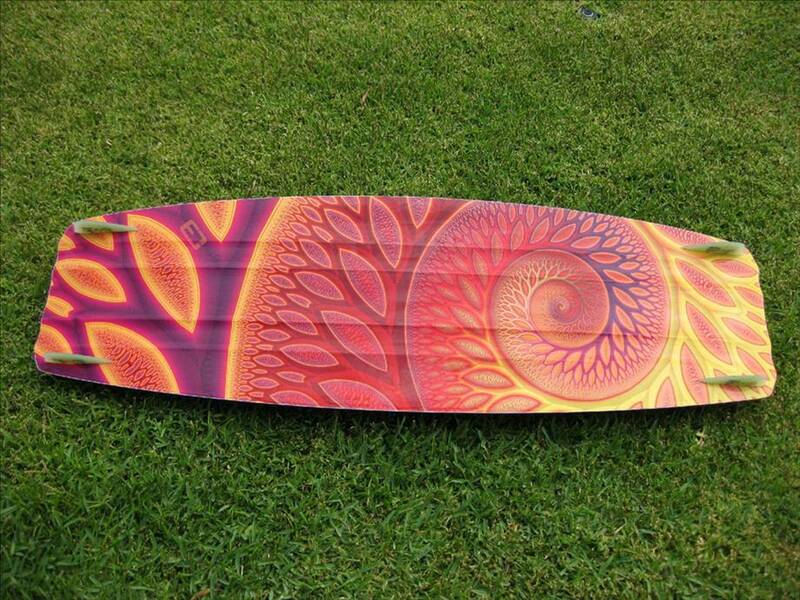 how long does a custom board take to get made and delivered ? It depends upon the date we get the order. Custom boards are started on Monday mornings and are finished on Thursdays, then freighted on Friday. It then takes 8 days to cross the country. So in other words, about 15 days. Got mine in time for a road trip over new years. Kited butter, chop and waist to chest crumblers. I'm no freestyle king but all of a sudden I'm getting a little extra time and had to re-dial rotations because first couple over-rotated. Landings beautiful - I think part of this is the "channels" on the top deck between the pads- feels like you push the concave out of the board and rails flex upwards. 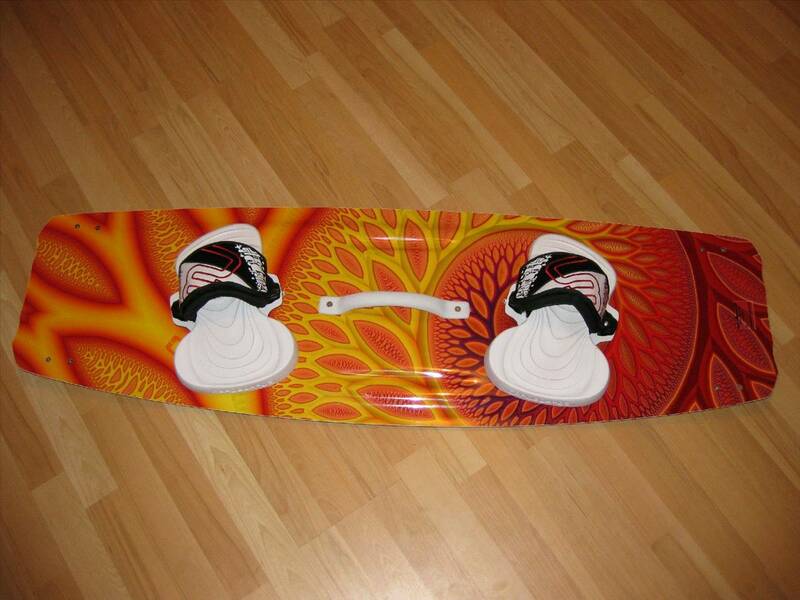 Are the tempos suited to bindings or will it mess up the flex in the board? 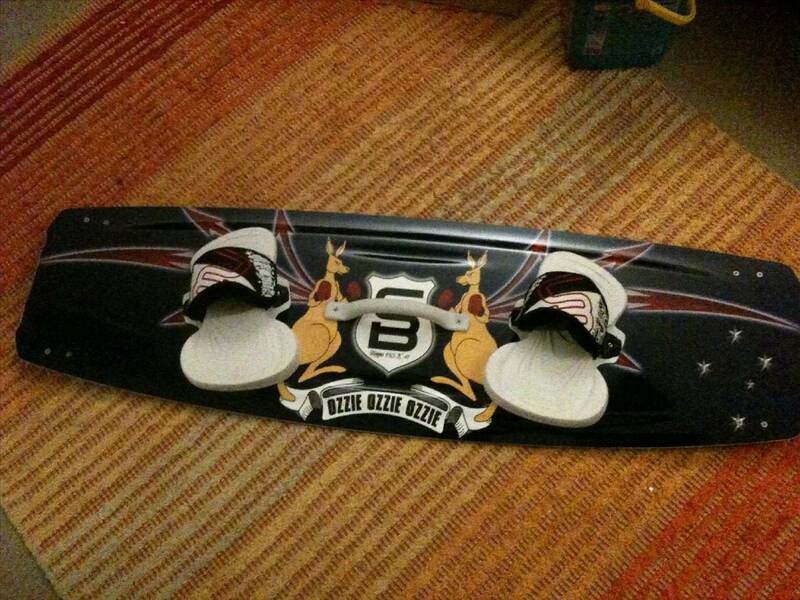 one of the best kiteboards ive ridden in boots. 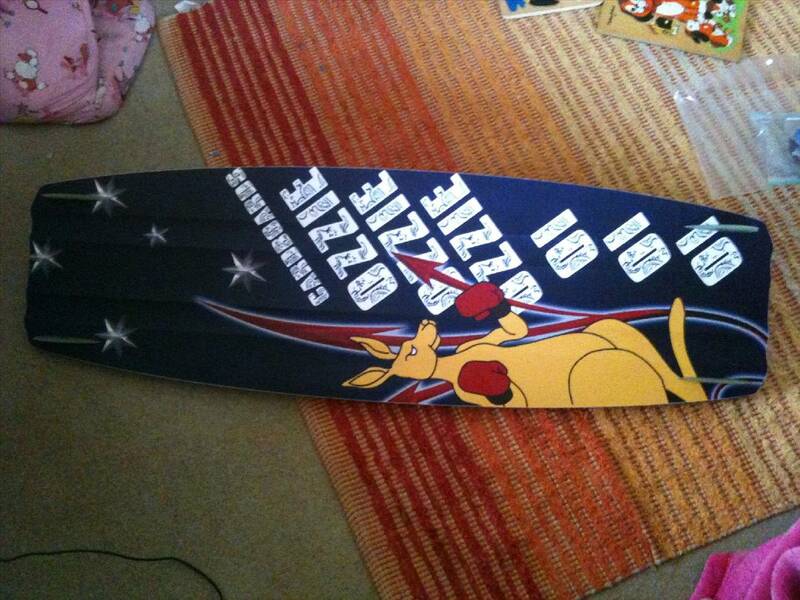 siiick its good to see people getting so pumped on aussie boards. seen a few euros at woodies and the pond also riding them and i see heaps of them around now. there are heaps of them starting to appear all over perth . I'm currently riding a 135 Tempo as my twintip and i have to agree - it's sick. I got mine with the rainbow graphics - all black with a little rainbow coloured Cardboard logo... It's a bit hard to see, but looks mean.. If it's light, I grab the 136 FR that we use for demo, and if it's over 17knots i'll be on the Tempo. Just love the Cardboards feel. It just works so well for everything, and I don't normally give anything a 10/10 rating, but these boards really deserve it. Dan from CB has also been amazing for back up service, by far Cardboards goes down as one of the fastest and easiest companies to work with this year. You can expect hundreds of these things popping up real soon. i wrote a big review on the tempo about 6 months ago, i was a first time buyer of the cardboards. i really thrash my boards and quite often after 6 months a board is almost ready to throw away, due to straps coming loose and inserts stripping out (yes i check them every session to make sure they are tight and they still seem to work loose!) and also riding in shallow water and rippring the crap out of rails and fins. the board has handled my abuse really well, no delams, plenty of scratches. the straps were the only weak point in the package, they seemed a little stiff to start off with but they did loosen up. still not the best straps but they get the job done! overall the tempo is by far the best board i have ever ridden and i would even go as far as saying the best board on the market at the moment, i have ridden a lot of boards since i have got this and none of them have come close. it will be interesting to see what they do with the range this year, i hope there are not to many changes.